While the national media is busy covering Gordon Hayward’s team visits, the Miami Heat front office is making sure they have options to choose from if the Utah Jazz star decides to stay in Salt Lake City or go to Boston. 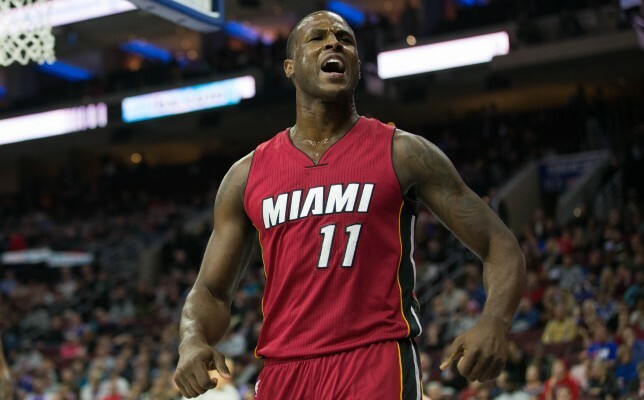 Heat president Pat Riley and head coach Erik Spoelstra flew out to Los Angeles on Sunday to meet with Dion Waiters, according to Barry Jackson of the Miami Herald. Waiters has also drawn interest from Chicago, New York and Sacramento, among other teams, the Associated Press reported on Saturday. The Heat will meet with Waiters, even though they are in no position to make a large lucrative offer until Hayward chooses his destination. However, Miami wishes to convey to Waiters that they are still very interested in his services. The Syracuse University product has been vocal about his wish to return to Miami, but if Hayward chooses the Heat there might not be enough money to make that happen. If Hayward signs with Miami on a max contract, his first-year, $29.7 million salary would shrink Miami’s cap space to just $5.7 million. Miami could increase its cap space by releasing Josh McRoberts and stretching his cap hits over three years, leaving them with $9.7 million to spend this summer. In this scenario, the Heat would only be able to bring back either Waiters or James Johnson on a four-year contract worth nearly $42 million. Hayward is expected to make his decision on Tuesday or Wednesday, and hopefully, Waiters, who has become a fan favorite after just one season in Miami, does not choose another team before then.